It’s Raining Outside… Should I Climb That Mountain? It’s a fact of meteorology that the area around the mountains is likely to create precipitation, and that rain is quite common. Snowdon, for example is going to be very different from the sea-level, which you will most likely be staying. Temperatures at a higher level are much cooler, every hundred meters that you climb, the temperature is going to be 0.5 degrees Celsius colder. The mean temperature at the summit of Snowdon is 5 degrees, and this is not in winter. – You’re not going to be able to climb the mountain in a T-shirt – you’ll be extremely cold. 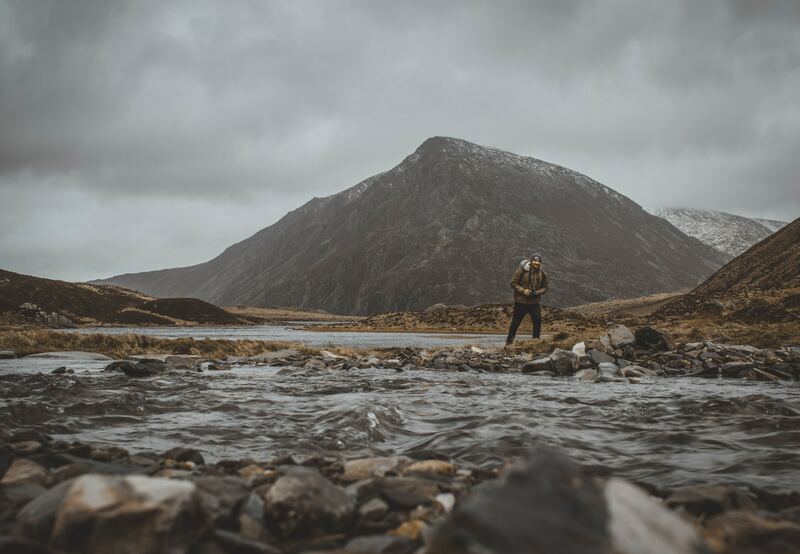 Snowdon’s summit is famously rainy, and so will receive over 3 metres of rain per year. When climbing you may well find yourself climbing through thick cloud. We’re going to recommend that if you do decide to tackle the elements stricken mountains, that you clad yourself in the correct armour. This one is the most obvious, it’s essential that you have a good, reliable waterproof coat that will keep you warm and dry – when combined with the right underclothes you’re going to be laughing all the way to the summit. The lower counterparts to the jacket is, of course the waterproof trousers – its no good having a dry top half if your nether regions are soaked to the bone. A good pair of Waterproof trousers will prevent that. It’s a god send when in the event of rain, you have some great hiking boots to save you from the sludge, and sloppy ground and the mud. It’s impossible to use those hands of yours when they’re cold, clammy and wet – a truly miserable experience – thankfully a decent pair of gloves will save you that experience. If you need to pitch a tent or something similar, you’ll have your full dexterity. If you want to be really well prepared, a dry bag is going to keep all your important belongings nice and dry – your valuables along with any important equipment needed for the journey will be safe in here.